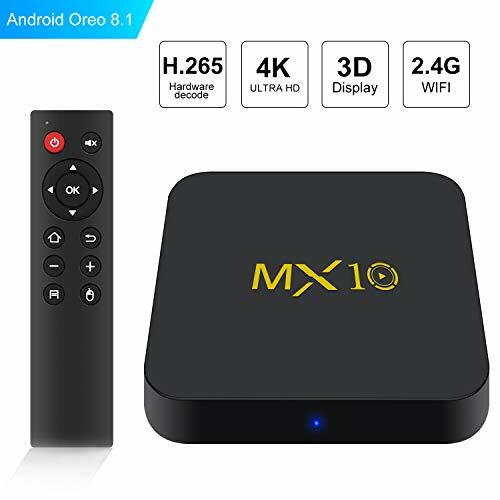 2018 NEWEST ANDROID 8.1 OS - SCS ETC MX10 Android Box use 2018 the newest Android 8.1 Oreo version, perfect combination guarantees high standard 4K decoding resolution and high-speed playback. 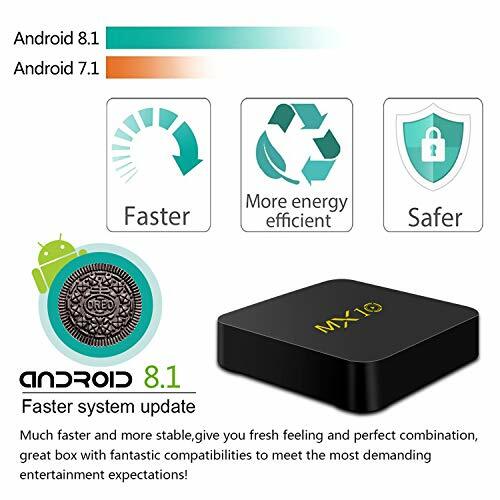 And another cheaper ANDROID 8.1 tv box is available, you can search B07FH863C1. 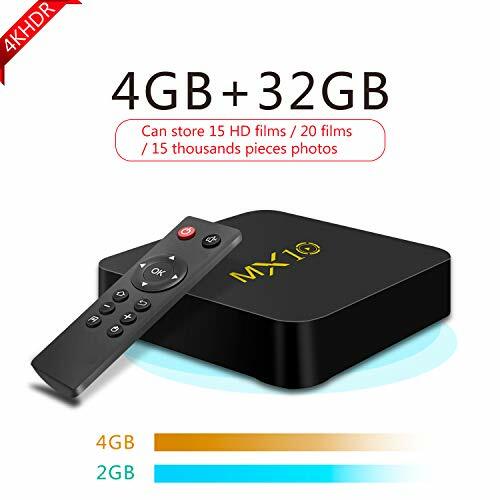 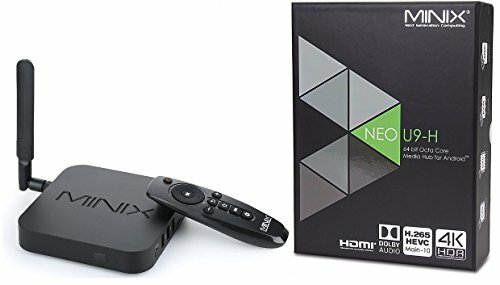 4GB DDR3, 32GB EMMC FLASH - MX10 TV Box supports enough space to download and run your favorite apps, you can storage 20 films of general definition, or 15 films of 4K high definition, or 15 thousands pieces photos. 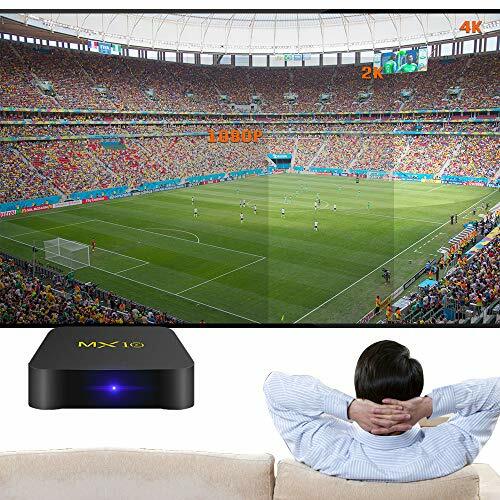 2.4G WI-FI & MEGABIT LAN - MX10 Android Smart TV box with built-in 2.4GHz WiFi, support 10/100M Ethernet LAN. 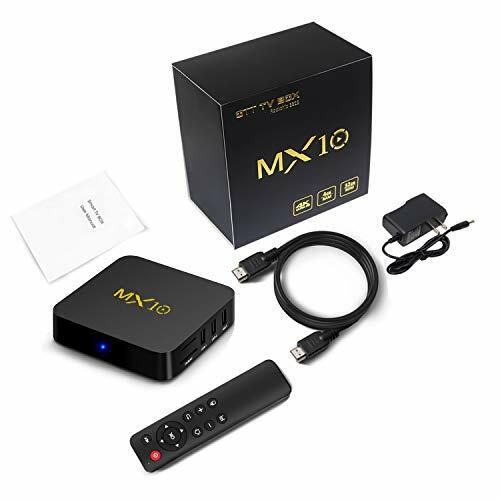 MX10 offer convenient connection and more stable WIFI signal to enjoy higher quality video experience. 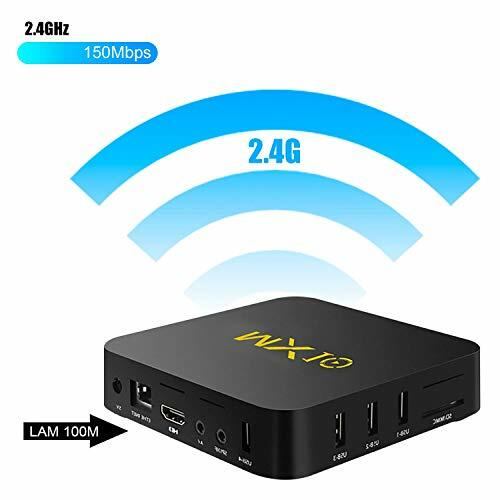 If you want to buy DUAL BAND WIFI CHANNEL TV BOX, you can search B07F1JK4GW on Amazon. 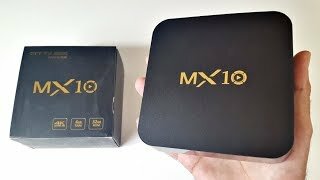 INSTALL FAVORITE APPS YOURSELVES - MX10 allows you install all favorite apps by yourselves. 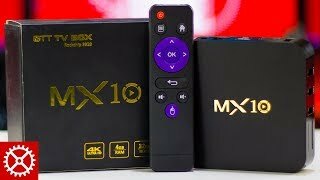 Easy to install RKMC,Miracast, MoviePlayer, Prime Video.... EASY ADD THOSE APPS TO HOME SCREEN - Just back to home screen and click '+'and then select apps which you want to add. 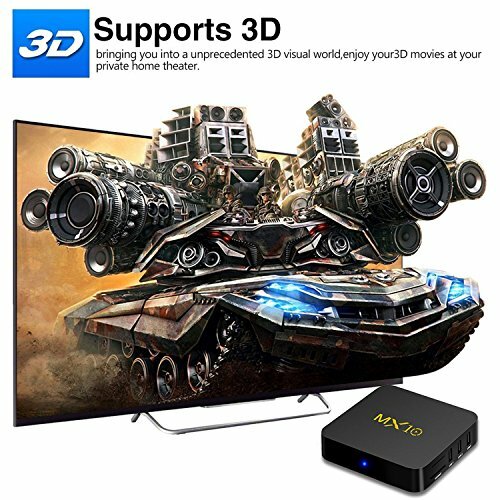 BEST GUARANTEE AND WHAT YOU GET - ALL SCS ETC TV Box have a one-year warranty on the main body box. 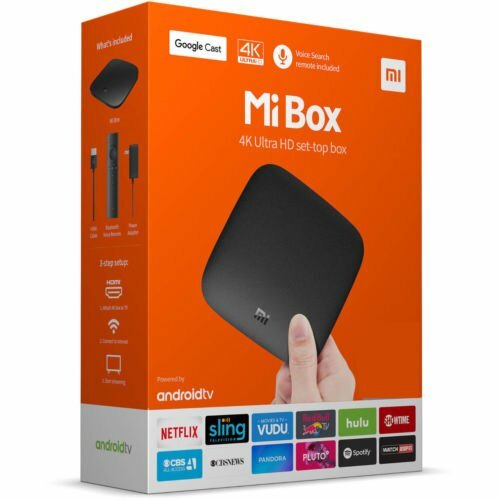 Please do not hesitate to contact us if you have any question or concern, we will fix your issue within 24 hours, Sunday excepted. 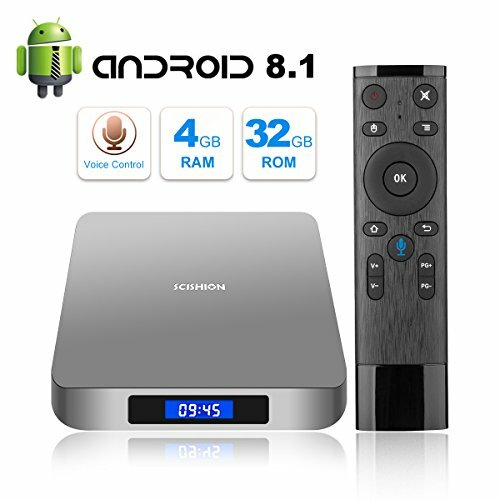 WHAT YOU GET: 1 x Android TV Box, 1 x Power Charger, 1 x 2.4G Remote Control, 1 x HDMI Cable, 1 x User Manual.